H2 Environmental can test your indoor air and create a plan for removing harmful gases. In the name of energy efficiency, many modern homes have been equipped with really tight building seals to help keep heated and cooled air inside. Unfortunately, there is a downside to this if the building envelope is too tightly sealed, the indoor air quality will suffer. It will be more difficult for contaminants like dust, pollen, and other allergens to escape. Harmful gases can also get trapped in the home. Fortunately, an indoor air quality expert like H2 Environmental can help you test your indoor air for contaminants and create a plan for removing them. Here are 5 types of gases we can help with. 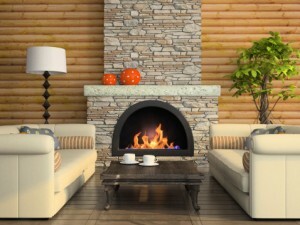 Carbon monoxide is a byproduct of incomplete combustion in fireplaces, water heaters, furnaces, etc. This colorless, odorless gas is an extremely dangerous indoor air contaminant. Though it will give some warning signs like headaches, dizziness, and nausea, if a person is asleep or simply not paying attention to their symptoms, carbon monoxide exposure can become deadly. The best way to protect against carbon monoxide is to install a quality carbon monoxide detector. Radon is another odorless gas that can enter your home through well water and soil beneath your home. Some stone building materials like granite can also release small amounts of radon into the home. The issue with radon is that it is radioactive, and according to the EPA it is the second leading cause of lung cancer deaths in the country. At H2 Environmental, we can test for radon and recommend measures to prevent dangerous levels from building up in your home. VOCs stands for volatile organic compounds, a broad category of contaminants that can be released by household cleaners, solvents, paint thinners, glues, plywood or pressed wood products, new carpet, and more. Benzene and formaldehyde are two common examples of specific VOCs that might be found in your home. Typically, increased ventilation and decreased use of chemicals in the home is the answer to VOC contamination. If you have a smoker in your family, they are contaminating everyone’s air with cancer-causing chemicals via second-hand smoke. H2 Environmental can help you find equipment like air purifiers that will help trap cigarette smoke to help your indoor air become safer and smell better. One final type of gas that can create indoor health risks is natural gas or propane used for heating and/or cooking. Normally these gases have an odor added to them for safety reasons, so you should be able to tell if there is a leak and shut off the gas before it presents a fire hazard or affects your health.